Culver City, CA – The official trailer drops today for the anticipated new film PAUL, APOSTLE OF CHRIST, a thrilling, epic story of the man who persecuted the early church and then became its greatest evangelist. PAUL, APOSTLE OF CHRIST stars Jim Caviezel (THE PASSION OF THE CHRIST), James Faulkner (Downton Abbey), Olivier Martinez (S.W.A.T. ), Joanne Whalley (A.D. The Bible Continues) and John Lynch (THE SECRET GARDEN). 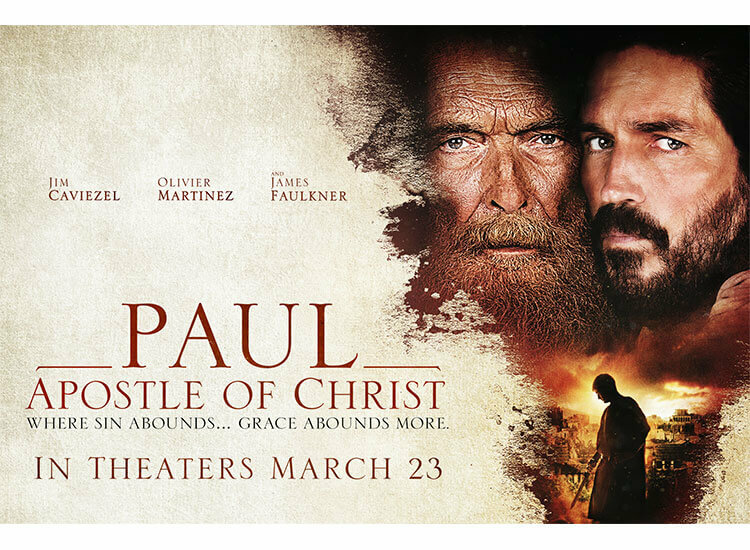 In PAUL, APOSTLE OF CHRIST, Luke (Caviezel) risks his life to visit Paul (Faulkner), who is held captive in a Roman prison under Nero’s rule. Together, they struggle against a determined emperor and the frailties of the human spirit in order to live out the Gospel of Jesus Christ and spread their message to the world. AFFIRM Films, a Sony Pictures Entertainment (SPE) company, in association with Giving Films, presents an ODB Films production in association with Mandalay Pictures. Filmed in Malta,PAUL, APOSTLE OF CHRIST is produced by T.J. Berden (FULL OF GRACE) and David Zelon (SOUL SURFER). Executive Producers are Eric Groth, Rick Jackson, Harrison Powell and Jim Caviezel. Mandalay is a motion picture company which finances, produces and distributes motion pictures for the global marketplace. With its strong financial base, the company is known for its ability to assemble premiere talent and develop properties that appeal to a global audience. Mandalay is led by an experienced and creative team of individuals with proven track records and the ability to effectively navigate the constantly evolving film marketplace.